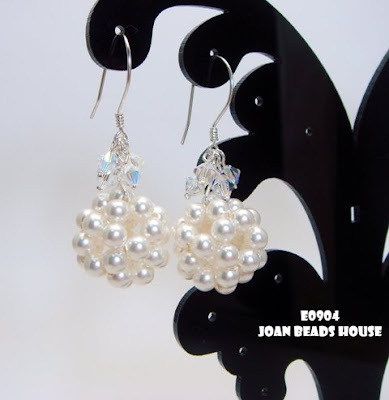 a simple yet elegent earring, i've used 4mm Swarovski Pearl to form the ball, match with 4mm swarovski crystal AB and handmade earring hook. this earring is really cute and adorable!! 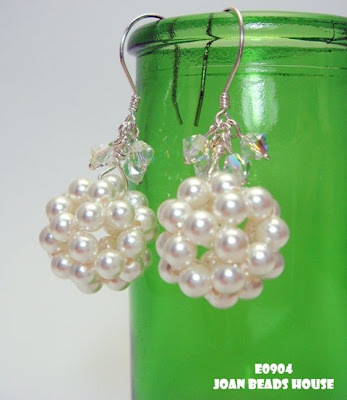 so sweet and creative of you to make this earring from pearls. =) keep it up ya!